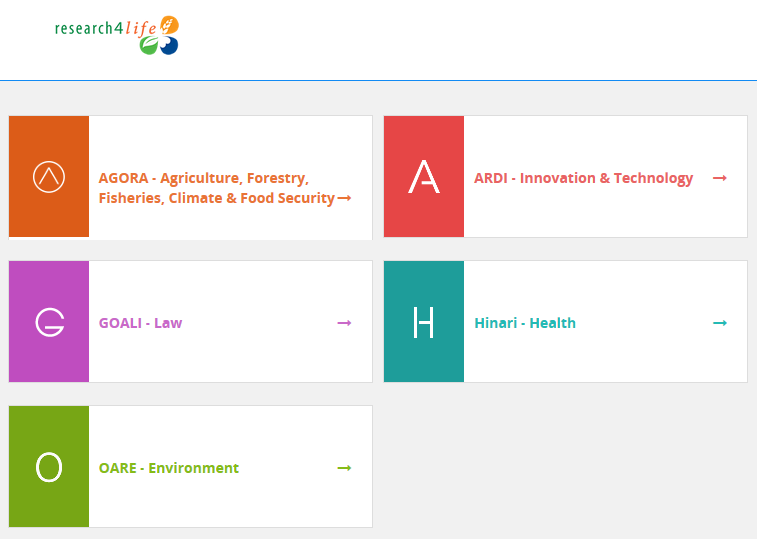 From the beginning of 2018, all academic institutions registered for any of the Research4Life programmes (Hinari, AGORA, OARE, ARDI, GOALI*) get access to all portals with their credentials. New registered institutions no longer receive programme specific credentials but a general Research4Life access. This means that any Research4Life user can now access up to 81,000 resources of Research4Life from all four programmes! 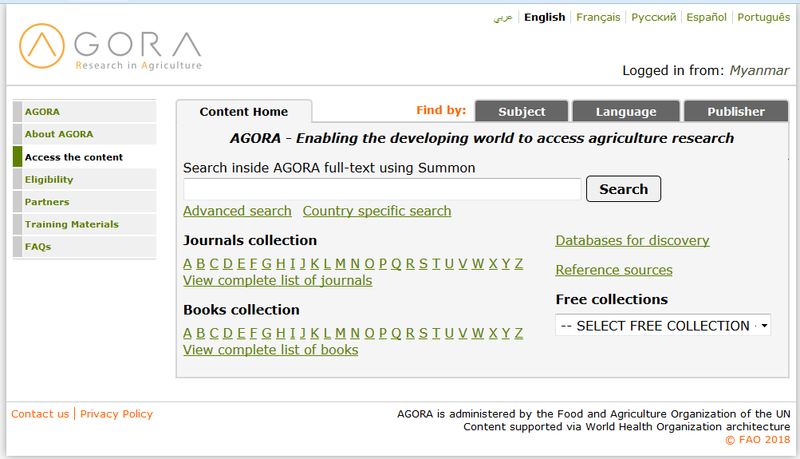 Research4Life also facilitated the search for contents on each of the portals: From now on users can use a simple search box that allows to discover books and journal articles by keyword. * The Research4Life team is also pleased to let you know that on the 6th of March 2018, the GOALI (Global Online Access to Legal Information) was launched as the fifth Research4Life programme. All institutions registered with the partnership will have access to information on academic legal journals, publications and databases. GOALI is hosted by the International Labour Organization (ILO). More information about the launch can be found here. Research4Life is a public-private partnership of the WHO, FAO, UNEP, WIPO, ILO, Cornell and Yale Universities, the International Association of Scientific, Technical & Medical Publishers and up to 185 international scientific publishers. The goal of Research4Life is to reduce the knowledge gap between high-income countries and low- and middle-income countries by providing affordable access to critical scientific research. IS YOUR INSTITUTION REGISTERED for RESEARCH4LIFE ? To date, more than 8,500 institutions from more than 115 countries have already registered for Research4Life. Follow this link to see the complete list of registered academic institutions and to get an overview about the number of registered universities and professional schools in each country. Local, not-for-profit institutions in two groups (A, B) of eligible countries, areas and territories may register for free or low cost access to up to 81,000 peer-reviewed international scientific journals, books, and databases publications through Research4Life. Here you can find out more on how to register your institution for Research4Life. Discover the Research4Life partnership and be part of the change! You would like to receive news about Research4Life? Subscribe to the Research4Life Newsflash or follow the partnership on Twitter or Facebook! Research4Life has also its own DGroup – an e-mail based communication and discussion channel where members receive updates and news about Research4Life.